Artist Richard Crozier’s works are subjects of change…change of seasons, change of light, change of landscape and skyline. 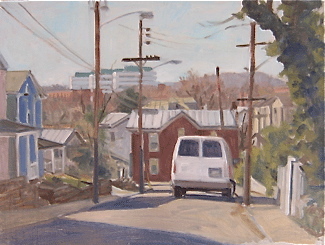 Over the past four decades, he has produced more than 3000 “portraits” of the Charlottesville area in transition. 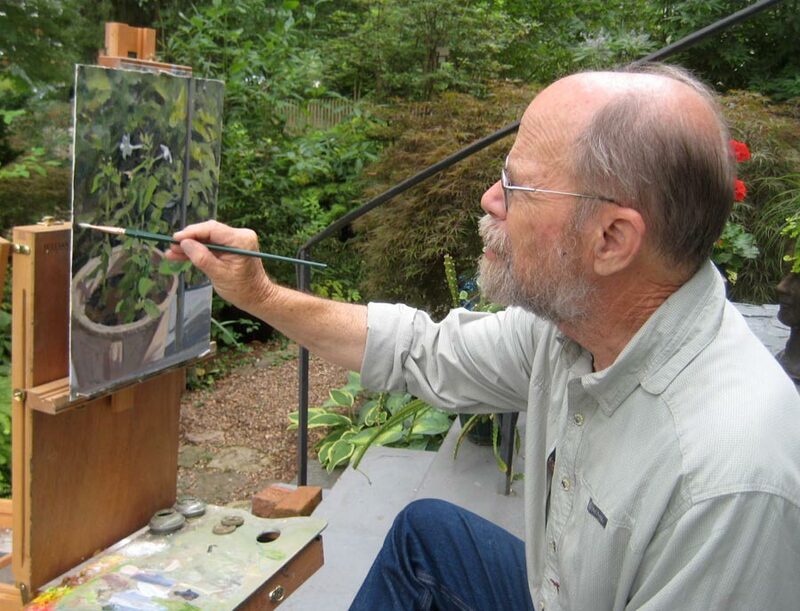 In 2011, Crozier retired as professor of studio art from UVa’s McIntire Department of Art, where since 1974, he’d taught beginning drawing and advanced painting and became known for his encouraging and engaging style. 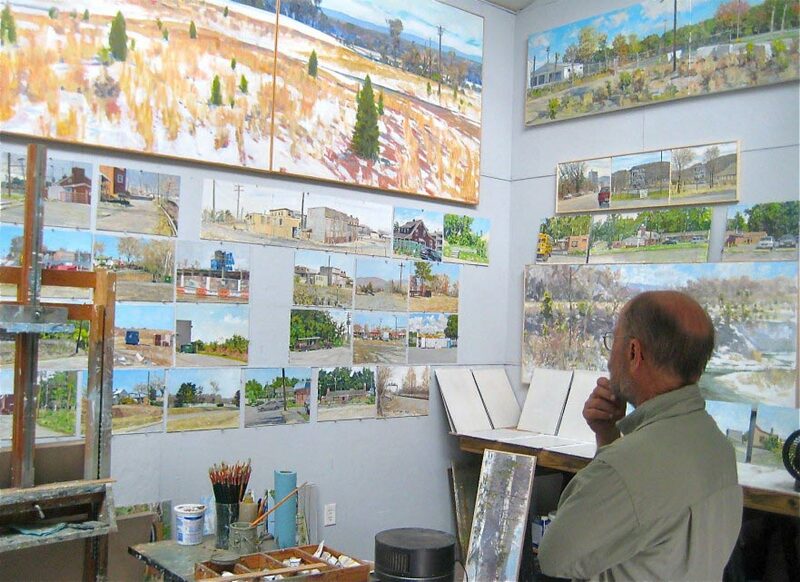 He continues to paint daily, producing up to five scenes a week. 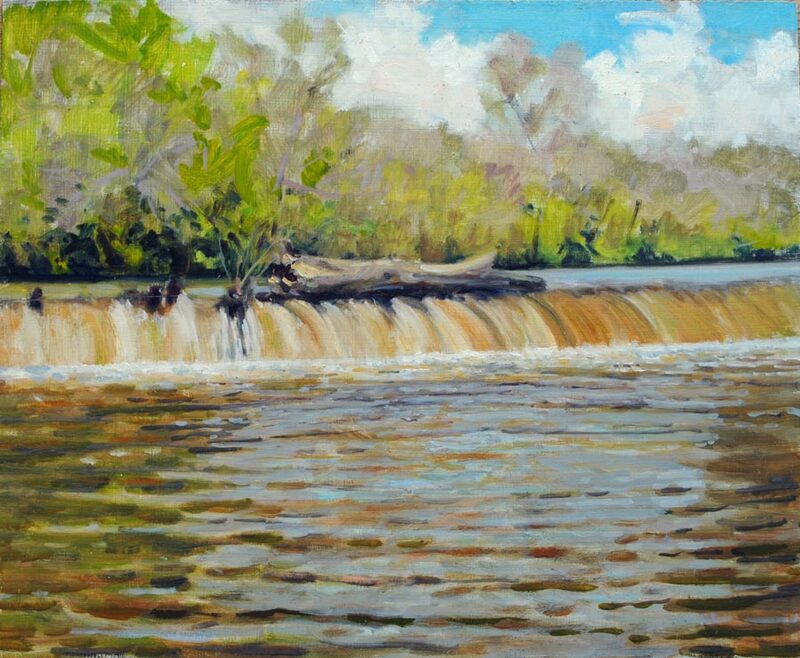 “The thing that interests me a lot are landscapes that are in the process of changing from one thing to another,” says Crozier. “Something’s being torn down and you think, ‘The view’s opening up. You won’t see that again once they build something new.’ The chaos, the kind of random quality of the juxtaposition when things have being taken down or built up. In the winter, you see the snow and think, ‘This is not going to stick around. It’s going to look different in a week or two’. That’s interesting to me. Born in Honolulu, Hawaii, Crozier is the son of an Idaho farmer who moved to the islands during the Depression. His parents thought their second son might have an aptitude for science and should consider becoming a dentist. Instead, Crozier earned his BFA from the University of Washington, Seattle. He studied graphic design but found painting and drawing more to his liking. 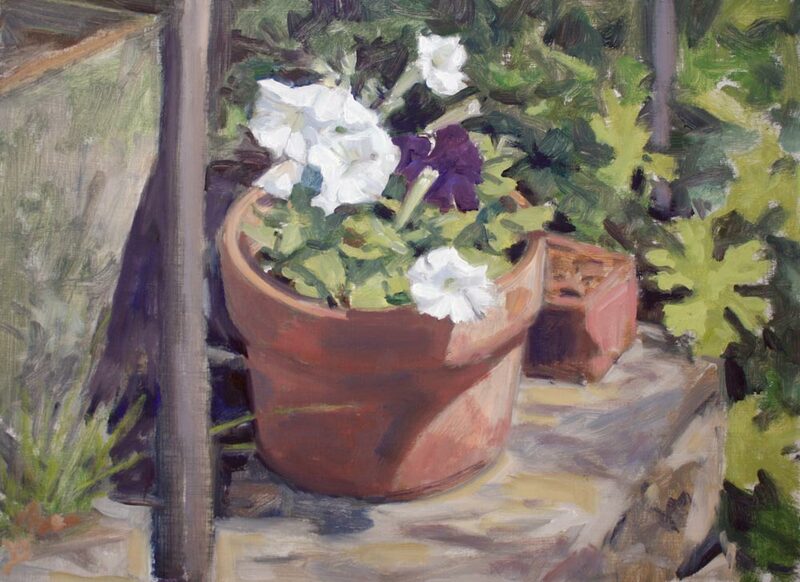 “I’d pick up my paints, walk outside and just paint. I’d come back and see what I could do with it.” He later earned his MFA in painting from the University of California, Davis, studying with Wayne Thiebaud, a contemporary painter noted for depicting everyday objects—pies, lipsticks and paint cans among them. 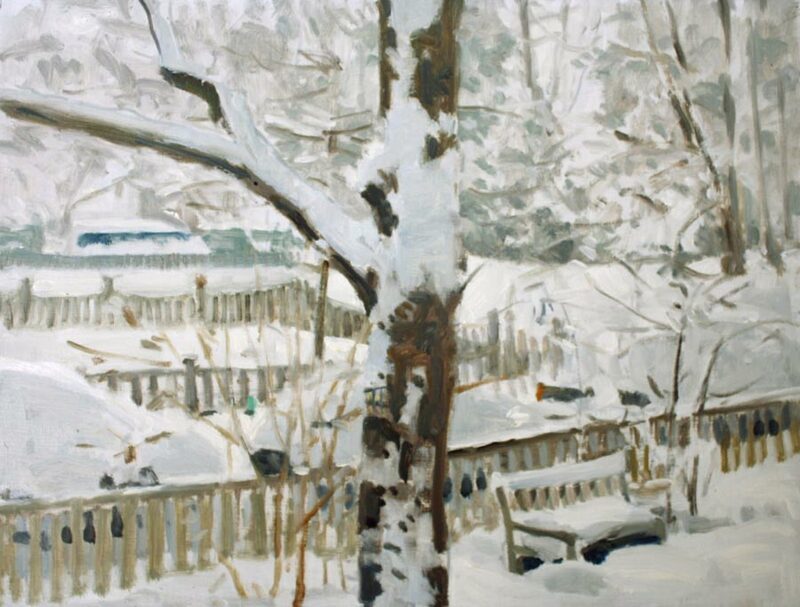 Crozier was also inspired by the subjects and muted palettes of various landscape artists. “Just about anybody who painted out of doors was interesting to me…back to Constable and Corot, the Barbizon painters and most of the Impressionists. Pissaro. Sisley. I looked at a lot of Edward Hopper when I was a grad student. He had a lot of geometry in his work. I like Vuillard’s paintings…a lot of greys. Albert Marquet did some really quite wonderful landscape painting…very subdued and atmospheric.” He admires British realist Rackstraw Downs for his oversized panoramas of Texas and New York City. 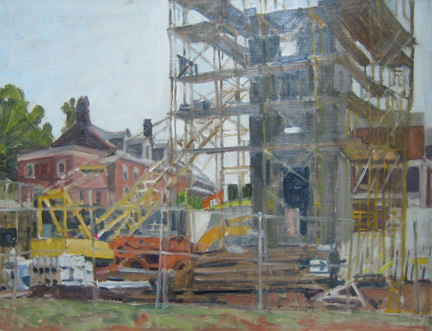 Crozier’s upcoming Sweet Briar show will further his themes of change and transition. He considers what to paint next, large and small. 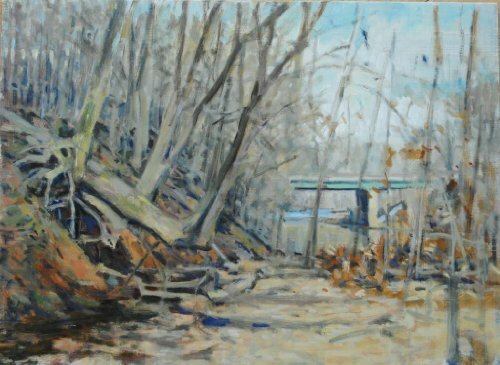 “I think there’s a painting I can do at the old Crozet lumberyard. I’m just not sure what it’s going to be yet… how the site sits in the landscape or maybe the mountains behind the footprints of old buildings that have been taken down… That’s the stuff that interests me. 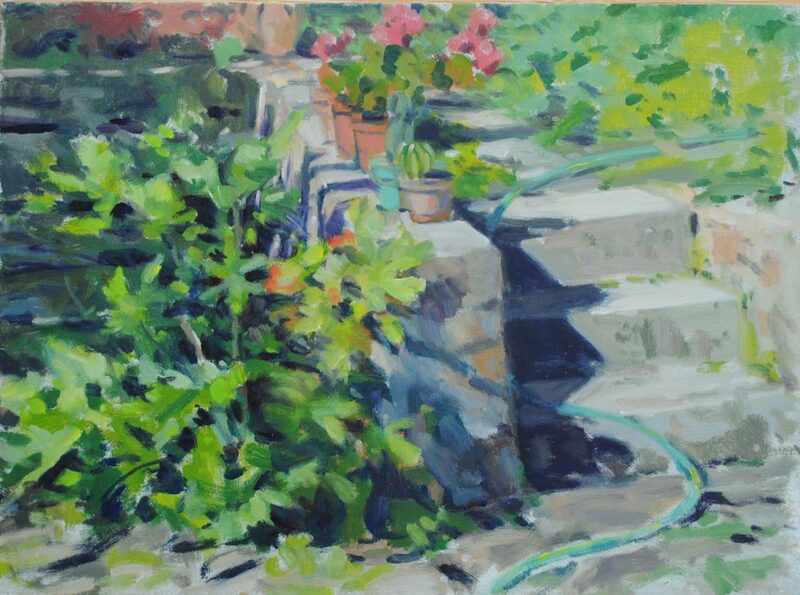 Richard Crozier painting en plein air. excellent article!! Thank you Elizabeth.